The fastest growing region in Germany, Berlin-Brandenburg, lies at the crossroads of international traffic routes and in proximity to the centers of decision-making. Berlin-Brandenburg offers the highest research density in Germany and a cutting-edge infrastructure combined with an outstanding quality of life. Right in the heart of Europe, investors find excellent business conditions. Small towns and villages offer space for stressed city dwellers and young families. 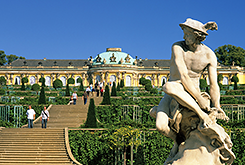 Historic castles, country manors and gardens, including the UNESCO World Heritage Site in Potsdam (Prussian Palaces and Gardens), and a plethora of museums, galleries, concert halls and theatres charm and entertain residents and guests alike. If you want to slow down and recreate your body and spirit, widely untouched landscapes are waiting to be discovered by bike, on foot, on horseback or seen from the water on a canoe, a float or a sailing boat. 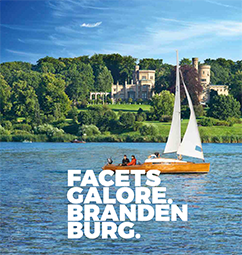 Visit brandenburg-tourism.com and start planning your trip now. 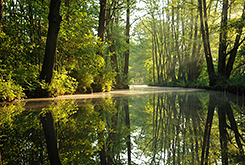 With Brandenburg's new image brochure we hope to convey an understanding of our region between Elbe and Oder to you. We wish to tell you about Brandenburg's history and peculiarities. About where we came from and where we are heading. See it for yourself.